The area surrounding Nihombashi once served as the hub of the city’s major land and water transportation routes and evolved into an economic and cultural center during the Edo period (1603-1868). Nihombashi literally means “Japan Bridge.” Situated at the base of the Tokaido Highway, stretching westward, and the Oshu Highway leading north, Nihombashi was actually the starting point of five highways that extended thoroughout the country.Nihombashi also enjoyed a reputation as a town of merchants. The wives of many feudal lords and their maids were the frequent and welcome customers of the large kimono wholesalers that flourished in the area. Today, the Nihombashi of old is overcast by an automobile expressway, and one can’t help but reflect on the negative effects of Japan’s rapid industrialization and economic growth so carved into the present day scenery. Nihombashi in 2004 is in the midst of an extensive redevelopment campaign expected to reach completion in 2005 so let’s go on an expedition to see what the future holds for this town and exactly what scents of tradition are still preserved. Nihombashi Bridge was built in 1603 and has been admired by the Japanese ever since as a symbol of Edo (the shogunate era name for Tokyo). The stone bridge seen today was completed in 1911 and is now an important and designated cultural asset of the nation. After the completion of the five highways that started in Nihombashi, in 1604, travelers from across Japan crowded the bridge, and the area teemed with activity. During the Meiji Era, the midpoint of the bridge was selected as the base point for all the major highways of the country. Even now, it is the origin of seven national highways. As such, and with this history in mind, a copperplate sign inscribed with the Japanese words for “Initial Point for National Highways” is buried in the center of the bridge. Not far from the bridge is Mitsukoshi Department Store’s Head Office. Nihombashi Mistukoshi is the oldest department store in Japan and was founded in 1673 as “Echigoya”, a store specialising in kimono sales. The imposing building now occupying the site was built in 1935 where two lion statues guarding the main entrance. Today they are constantly surrounded by people who use it as a meeting point and the sound of pipe organ music wafts into the air around the entrance thrice daily. Historic shops abound in this area: Yamamoto Seaweed Store, established in 1849, Kammo Fish Cake Store, and Nihombashi Funasa selling tsukudani (various foodstuffs boiled in soy sauce) are but three examples. 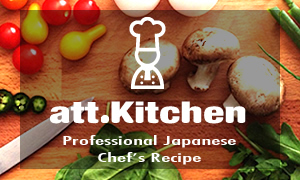 they have been loved by Japanese epicureans for 140 years. Ibasen deals in washi (Japanese handmade paper) and bamboo products. It was famous as a leading Ukiyo-e print publisher in the late Edo period. Here, one can purchase from a wide selection of beautiful folding and round fans. Nihombashi Kaishin is another tsukudani shop but enjoys a history of over 4 centuries as opposed to its younger relation Funasa. At just 300 years old but still as historic is Ninben, a bonito store. All of these shops of yesteryear consistently exhibit only the most excellent of products, true to both their speciality and also their long-standing reputation, making a visit more than worthwhile. The renowned fish market of Tsukiji was originally located in Nihombashi. It is said that its origins are based on a time when vendors sold leftover fish that had been delivered to Edo Castle. When the city’s population exploded during the Edo period, the fish market steadily developed as the consumption of fish enevitably also increased. Yet Nihombashi became a place famous not only for its fish but also for a wide range of other products. As a result, the economic activity of the day concentrated in this one area created an unimaginably thribing business district. The “Fish Market Memorial” marks this town as the birthplace of the present day pulse of the capital’s fish consumption arteries that was, and remains Tsukiji Fish Market. Next, over at the main building of the Bank of Japan we can see one of Kingo Tatsuno’s most impressive and well known works. By the man who also designed Tokyo Station, the internationally known and magnificent Neo-baroque style stone building of the Bank of Japan is also a listed important cultural asset and is not far from the Tokiwa Bridge, the only arched bridge made of stone to be found in Tokyo. The bridge, together with the Bank of Japan building, really gives a feel for the city’s profound architectural history. The Bank of Japan Currency Museum exhibits Japanese money and explains its place in the nation’s history as well as interesting episodes in which it played a role. Four-thousand kinds of ancient, dated and modern currency on display at any one time is an impressive sight on any scale and the foreign currency displayed provides a visually fascinating contrast of totally different colors and designs. The Takashimaya Department Store was established in 1831 as a kimono shop in Kyoto. 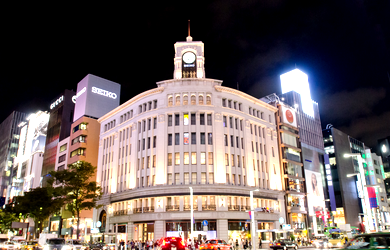 The Nihombashi branch of the store was established in 1933 and is celebrated for its classical facade. The Maruzen bookstore sells books, stationery and haberdashery and is also home of the “Library of Books”, a collection of books about books. Located on the roof top is Restaurant Maruzen with a favorite here being hayashi rice (hashed beef rice) which attracts a long line of hungry people during lunchtime everyday. Sadly for Nihombashi lovers though, Maruzen will move its main store to Marunouchi (near Tokyo Station) in September 2004 and the present building will be remodeled by 2007. You will be able to order hayashi rice at the new location, too, but it is rather heartbreaking to see yet another change about to transpire in Nihombashi. Haibara, an old washi store, offers washi in various colors and an extensive line of washi related products as well. Haibara’s washi ranges from those featuring traditional Japanese patterns to others decorated with more modern designs making the selection process very enjoyable. As the washi lampshades are especially attractive, stocking up on souvenirs at this shop might be a good idea and doing so would be following in famous footsteps as it is interesting to note that Freddie Mercury, the lead vocalist of the rock band Queen, when visiting this shop in 1986, bought about 10,000 U.S. dollars’ worth of washi (postage included) to wallpaper his London mansion. The Kite Museum is another Nihombashi attraction. It is located on the fifth floor of the restaurant Taimeiken, famous for its delicious omrice (fried rice enveloped in an omelet). On display are kites from across Japan and the world, micro kites, gigantic kites and even three-dimensional kites, inducing a never-ending degree of interest in the visitors. An extensive walk through Nihombashi visiting some of the places listed above will be sure to tempt one to sit down and have some Japanese sweets, and Eitaro or Yamamotoyama would be ideal spots for a relaxing break. Eitaro So-honpo has been selling sweets since the Edo period and its tea room offers both Japanese tea and traditional sweets. Their own recommendation is the ogura mitsumame, a kind of parfait made up of peas and agar-agar, topped with a sweet red bean paste. Yamamotoyama, on the other hand, has been selling green tea since 1690 and plays a major role in Japanese tea history as the popular Gyokuro brand of tea, a very high quality green tea, originated at this store. The tea room filled with Ukiyo-e prints offers traditional tea and sweets. The sweets included on the “set menu” come from sweets shops around the Nihombashi area, with, for example, dorayaki (thin cakes with red bean paste fillings) originating in Usagiya and Ginso’s sponge cakes (red bean paste cakes) making their way from Nagato, to name but a couple. For lovers of TV games and TV game hero fans, the local place to be is the “Pokemon Center.” Cards, tableware, stuffed dolls, videos and DVDs, stamps and other miscellaneous items with Pokemon (“pocket monster”) characters printed on them are sold within. “COREDO Nihonbashi,” a new and space-age looking shopping complex cased in glass, was opened this March with the name COREDO being coined from the words “core” and “Edo.” It houses a number of unique shops and boutiques. Nihombashi is continuing to witness change. The new wing of Mitsukoshi Department Store is now under construction; the super high-rise “New Muromachi Mitsui Building” is also being built with a plan to house the “Mandarin Oriental Tokyo,” the first of the group’s hotels aimed at starting business in Japan. 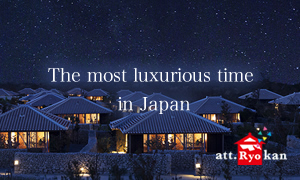 Its completion will bring in international businesspeople and tourists alike to Nihombashi. Let’s watch this town grow into a new center of attraction, adding an increased international feel to its already historic streets filled with traditional shops.